Starting late 17th century, the Netherlands gradually transformed from a trading nation into a financier of foreign countries. Francisco Lopes Suasso (circa 1657-1710) was among the first to fully concentrate on banking. In 1695, Austria placed the first foreign state loan in the Amsterdam market through trading firm Deutz & Co. Later, more loans followed, like the 1737 one depicted here. 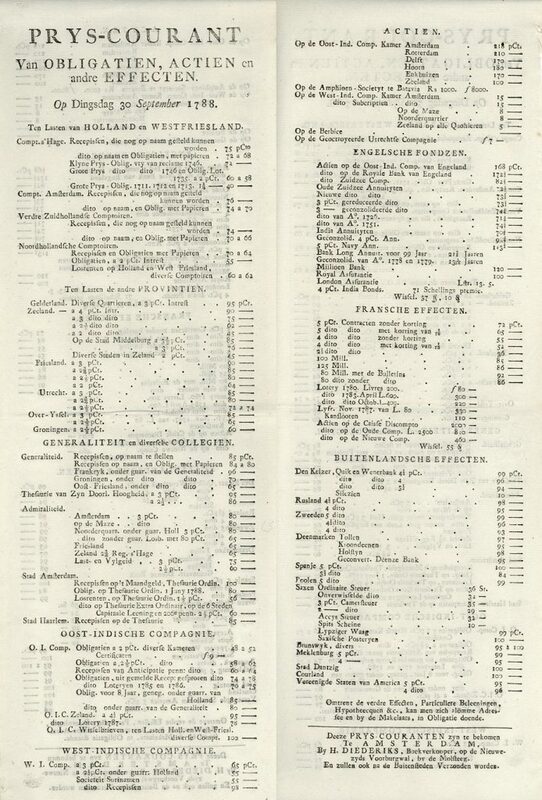 The status of ‘financier of foreign countries’ is evident from this Amsterdam price-list from 1788. In addition to securities from various European countries, also US government bonds are listed. The capital acquired by the Netherlands in the Golden Age had to be invested. In other countries, there was actually a need for money, and that is why foreign funds appeared on the Amsterdam stock exchange by the end of the 17th century. 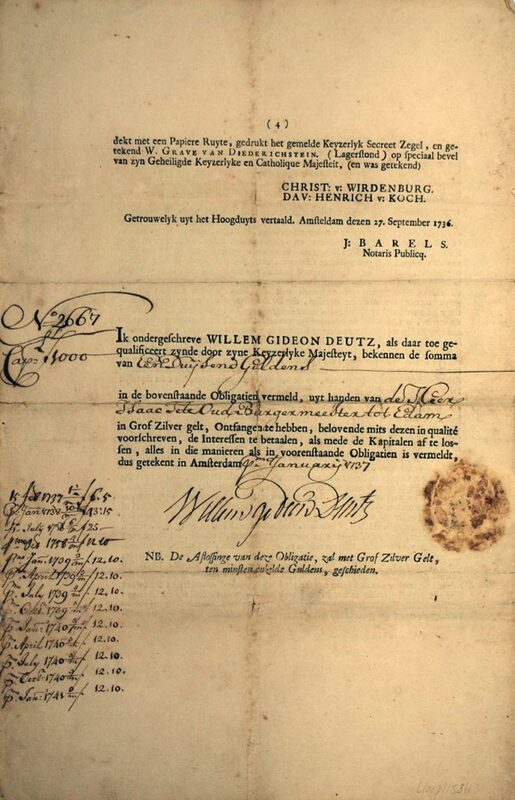 The first foreign government loan was arranged by trading firm Wed. Deutz & Co. for the Austrian emperor in 1695. Other foreign government loans followed, for Sweden, Denmark, Russia, Spain, Poland, and German states among others. 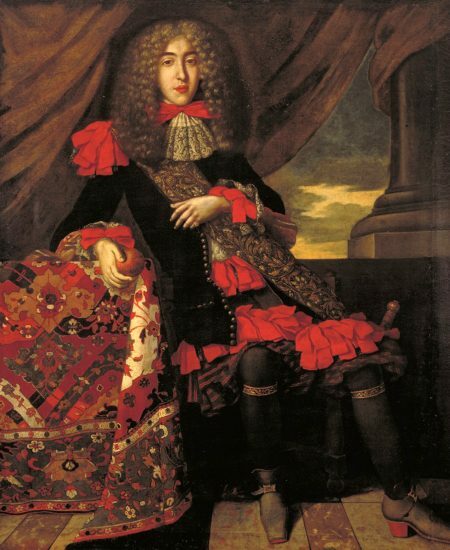 After an era of relative peace had begun with the 1713 Treaty of Utrecht , the Netherlands grew to become a financier of foreign countries. Dutch capital penetrated into every corner of Europe and, on top of that, found its way to the new world with large loans to the United States as of mid-18th century. The export of capital was so massive that it encountered opposition in the States of Holland. However, attempts to restrict it had no effect. Around 1790, the export of capital reached its peak with an estimated invested capital in foreign countries of 1,500 million guilders.